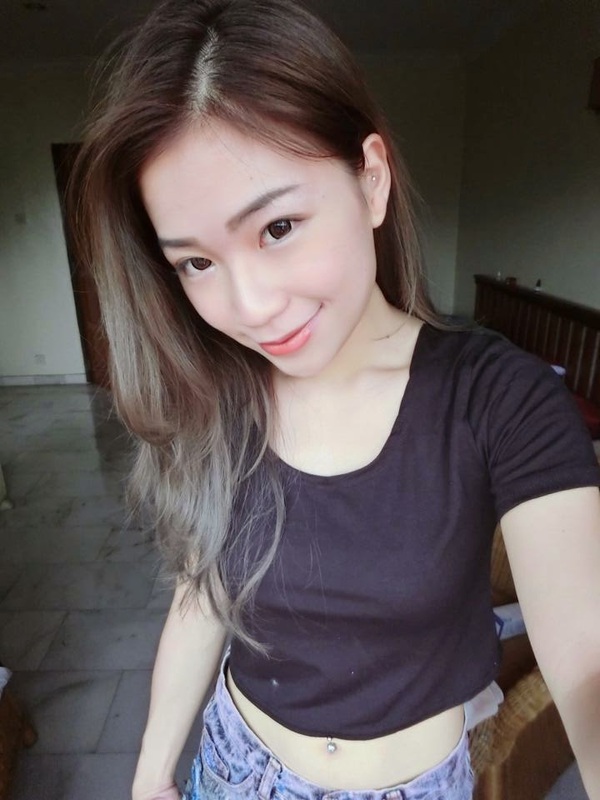 Hello Readers, It's time to introducing you all something good again. I guess a lot of you might heard about this brand before because there's a lot of people promoting this in Instagram & Facebook if you notice that. But still i have to introduce a lil deeper about this skin care. hehehe. Just did a review of this brand. 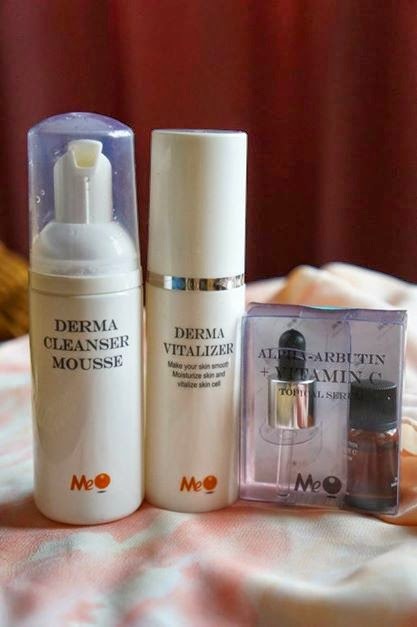 This MEO products is all the way from Taiwan, i saw a lot of taiwanese & blogger are using this right now. It's like a trend now. They have a whole range of skin care. Here's some details of the products that i've tried.. GIRLS! Cleansing is always the most important part! Bare in mind okay. Deep cleansing will always helps us to create a clear skin.Therefore, We have to make sure that there's all the pores in clean all the time to prevent breakout. Okay, how to use? how to cleanse? 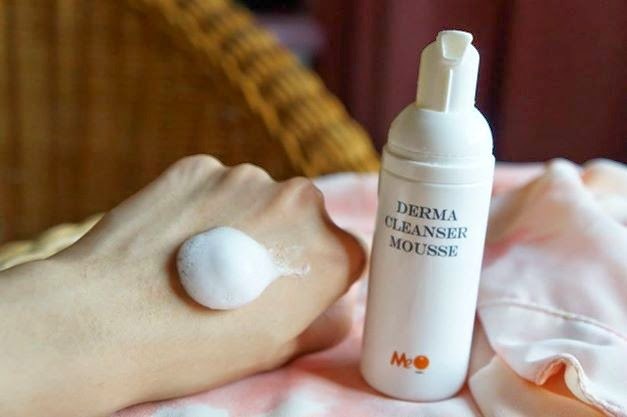 MeO cleanser, your face must be dry, and hand can wet a little bit, press 2 pump if face is bigger, or 1 pump is enough. Then massage on face evenly. Some nose area or blackheads or whiteheads places can massage harder. Wash until 80% dry, fingers add some water, and massage again, repeat this step around 3 times, and also wash the neck, then can wash off. Wash off with keep chaging clean water and harder too. Your face will be very soft and fair after use. 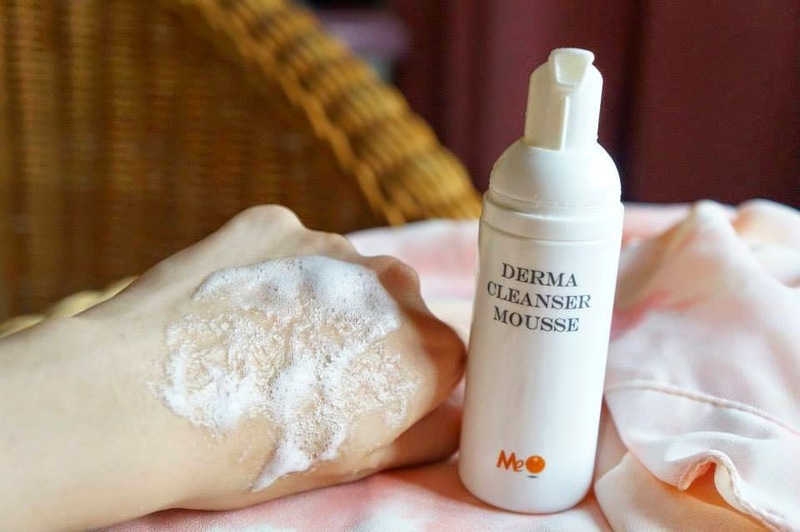 MeO Derma Cleanser Mousse contains a non-ionic surfactants free of grease and chemical flavor, mild, does not irritate the skin and eyes, and effectively maintain the skin's protective film to reduce water copies of the loss, so I do not damage the skin, there will not be a dry tight feeling after use. Unlike cleansing foam or cleansing milk in the market. Normally, cleansing will make our skin dehydrate. But this Cleanser works really good on keeping the skin hydrate and soft. This is how to mousse looks like.The texture, It's all small bubbles. My pore feel so clean and refreshing after using this! After cleansing, it's important to moisture it immediately. It is important to make the pores close after cleansing, make it moisturize and irritant-free. While MeO Derma Vitalizer uses non-ionic surfactant for toning our pores with skin pH value close to the same level as our skin normal pH value. It can smoothen and not irritated to our skin. Even sensitive skin can use. It's easy to use, just spray it on your face. Design for lazy people like me, hahaha. 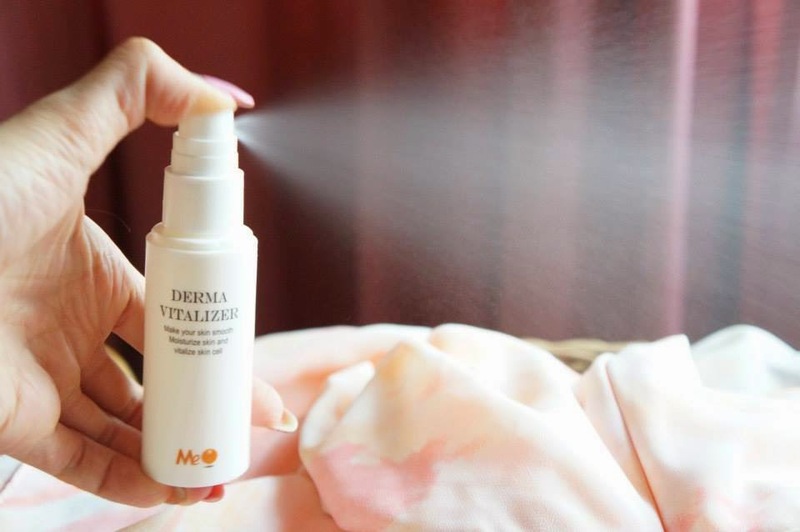 Derma Vitalizer spray to keep the skin hydrate all the time. 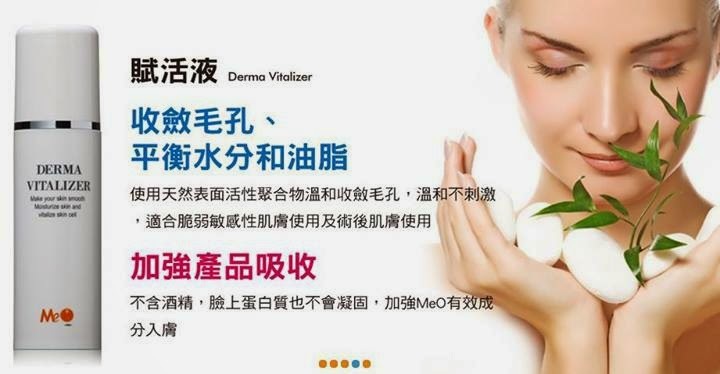 Using MeO Derma Vitalizer will implent an anti-irritant protection barrier on our skin to allows our skin feeling moisturize; sheilding our skin's intercellular matrix from external environment conditions and preparing our skin to better absorb nourishing and health-beneficial skin products. 1. Absolutely no alcohol content; not irritating and harmful to our skin. 2. Employ natural surface acting agent to close our pores. 3. Can contract our pores to aid and sustain a healthy skin. 4. Capable to form a protective layer that is exposed to air; for ensuring our skin will not be drying. 5. Ensure nourishing and beneficial product can be easily absorb by our skin. 6. A low pH value that is close to the same level as our skin normal pH value and caused no irritation in our skin. Having dark circles problem? USE this Vit.K1+ E Topical Serum! Something that you can apply overnight to reduce the dark circles for the next day. Vitamin K1 is extract from the green leaf plants, such as cabbage and spinach.It helps the blood clotting to react faster and also reduce the probability of blood vessel bursting. Vitamin K1 can strengthened blood capillaries (rigidity and flexibility) and reduce the dark circle around our eyes. 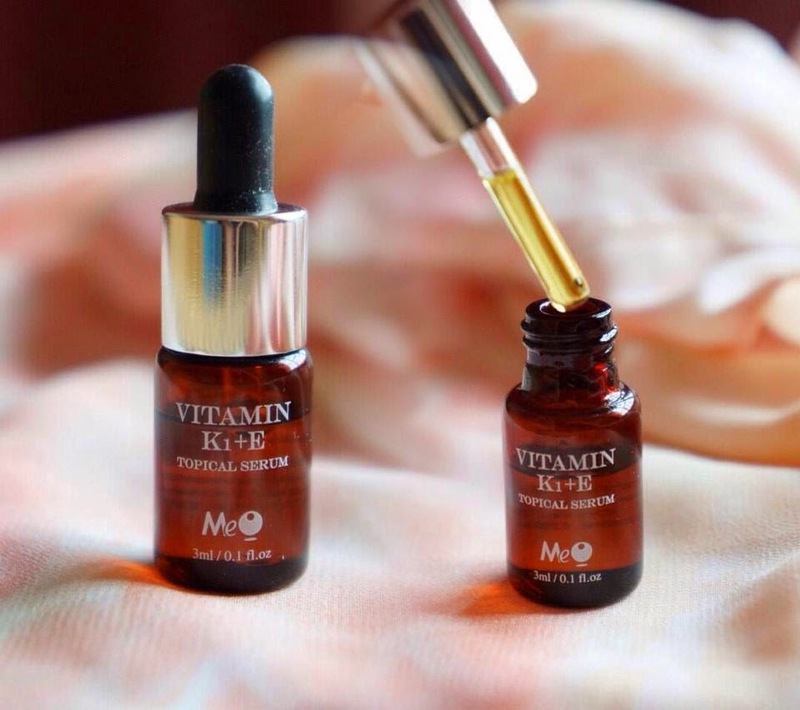 MeO Vitamin K1 Topical Serum uses ATeDS patented technology provide the product excellent penetration into skin to achieve desirable result. It helps to lighten the dark circles very effectively. Just use it every night before you go to bed. Besides all daily skin routine, applying a mask is also a must! Our skin needs a lot a lot a lot of water. Must keep it hydrate all the time! If you're more concern about whitening, try this Dual B Vit. 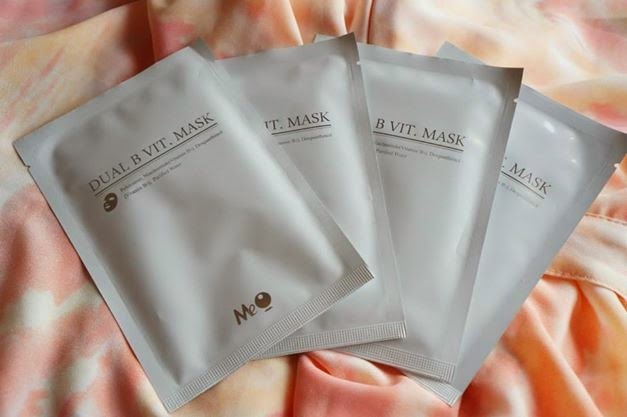 Mask, it contains Vitamin B5 and B3. It helps to make skin smooth, elastic and glossy to help you become a water beauty easily that you cannot imagine. Alright, that's all for today's sharing. Hope you all enjoy reading. Thanks * xoxo!